At Valet Custom Cabinets & Closets, we are committed to providing each and every client with five-star service from start to finish. Our attention to detail and quality of service doesn’t end with a finalized design. After your project is custom-crafted in our state-of-the-art woodworking facility, it’s time for Valet’s stellar installation team to step in. The above video demonstrates a complete room transformation in only two days, completed efficiently and neatly. Our commitment to professionalism is demonstrated through the respect we show our clients’ homes during installation. True to our goal of providing space enhancement solutions, we leave each space looking better than we found it in more ways than one! You don’t need to take our word for it. Browse through our Yelp, Houzz, and Google reviews and see what our clients have to say. Larry is a graduate of the University of Southern California School Of Business. After receiving his degree he returned to the Bay Area and spent 18 years working in his family’s 100+ year old metals recycling business. Upon the sale of that business in 2000, Larry and his wife Audrey purchased Valet. 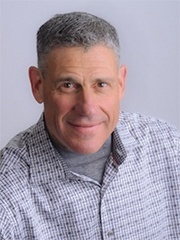 Larry has become a leader in the industry and is a past president of the National Closet Group. Larry loves turning people’s dreams into reality, and remains as enthusiastic about the business today as he was when he first acquired it. This post was written in collaboration with Sierra Nichols, Valet’s Showroom Coordinator.